The trend of providing smart energy solutions—may it be renewable energy or simplifiers to basic electricity problems—is catching up in the Philippines and local incubators are taking notice. 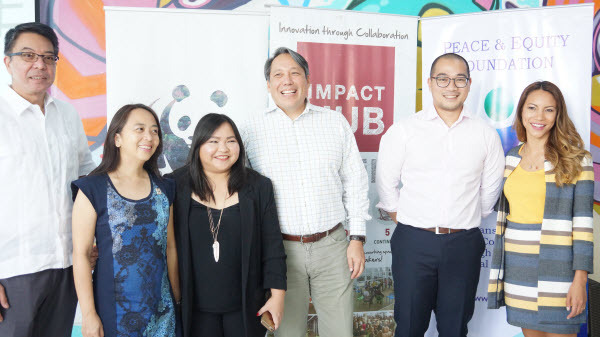 Impact Hub Manila launched on Thursday, June 16, its second fellowship program, this time, focused on Sustainable Energy Solutions, in partnership with the World Wide Fund for Nature (WWF) and Peace and Equity Foundation (PEF). “The solutions need not to be complicated. It could be as simple as keeping electric wires safer in urban areas or a new renewable energy power source for those in the provinces,” Impact Hub Manila co-founder Lizan Kuster said in a press conference. While there is an abundance of new technologies renewable energy, Clean Technology Venture Capital Expert Coy Navarro said the idea falters once its sustainability is assessed. “The main solution for the gap in climate change solution is to encourage entrepreneurs to join the clean energy industry,” Navarro, also a consultant for the Asian Development Bank said. The fellowship is open to all aspiring and existing entrepreneurs who have ideas tackling renewable energy; energy efficiency; access to energy and off-grid solutions; energy systems; and energy consumption reduction. Kuster said at least 10 startups have already expressed their interest in participating. “We’re very niche, but I hope we can get as much as a hundred applications,” Kuster told Entrepreneur.com.ph. Impact Hub Manila will accept applications until Sunday, July 24, 2016 where around six to eight finalists will be selected by Saturday, August 6. The chosen participants will then undergo a mentorship program for two months, starting Monday, August 8. On Friday, October 18, two to three fellows will be chosen for incubation where they will receive P1.5 million ($32,298.68) worth of seed funding. These fellows will be incubated until Tuesday, April 18, 2017. “I feel our generation failed this generation in providing sustainable energy. We’re now looking at the young for innovative solutions that can develop models to cater to the rural areas,” PEF executive director Robert Calingo said. It looks the two telecom players are not done with their surprises. PLDT and Globe Telecom have agreed on an Internet protocol (IP) peering, which allows broadband and mobile users of both networks to directly connect and exchange traffic through the Philippine Internet Exchange (PhIX) and Globe Internet Exchange (GIX), both camps announced on Thursday, June 16. This means most of the internet traffic will be within local data networks, thus, improving its quality and speed unlike the current practice where most of local consumers’ internet access is still done overseas. The move follows the Philippine Competition Commission (PCC) rejection of the initial transaction report of the two telecoms with San Miguel Corporation, where they acquired the latter’s telecom assets which includes the much coveted spectrum of 700 MHz. The initial phase of the arrangement will be completed in 30 days, and will be executed fully 90 days after.